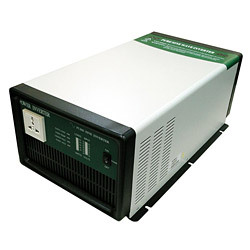 PURE SINE WAVE inverters + one more design [ Fast Action AC Synchronized Transfer Switch ]. When AC is normal; inverter delivers power by AC directly. Once it detects AC failure; it delivers power by DC battery automatically.